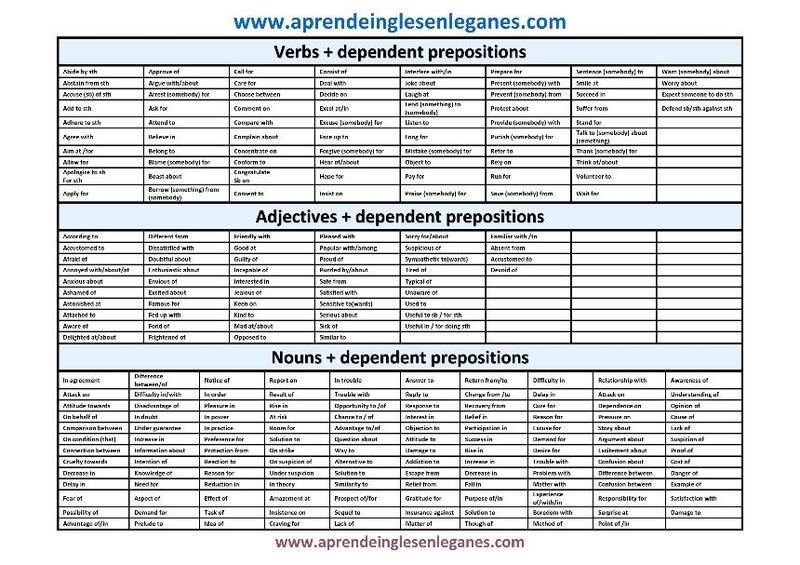 Verbs, Nouns and Adjectives + dependent prepositions. Some verbs, nouns and adjectives have a preposition that need to go with them. These are called dependent prepositions. A dependent preposition is a preposition that is always used with a particular verb , noun or adjective before another word. For example, we say "aware of" and not "aware about" or "aware on". The table below contains a list of the most common dependent prepositions you may find in the Cambridge English FCE, CAE, CPE exams.